In a game heard right here on 951 The Bull last night, the New Hampton Chickasaw baseball team was at home for a non-conference game against Waterloo Columbus. Noah Fye was dominant on the mound as he pitched six and two thirds innings of shutout baseball and Connor Hackman got the last out in four pitches as the Chickasaws won the game 7-0. Josh Fenske and Keegan Kane each scored two runs for New Hampton as they improve to 15-3 overall this season. They will return to action tomorrow night when they host Clayton Ridge. The New Hampton Chickasaw softball team was in Nashua last night for a non-conference game against the Huskies. 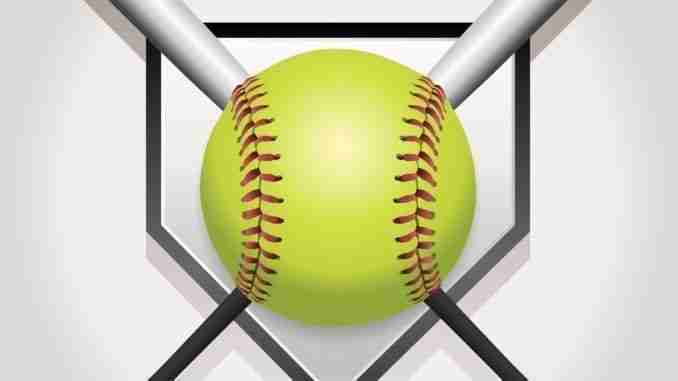 The Chickasaw softball team also pitched a shutout last night as they won their game 8-0. New Hampton improves to 11-5 overall this season and will play again tonight at home against Decorah. You can tune into that game right here on 951 The Bull beginning with a pre-game at about 7:15 and first pitch will be around 7:30. The Nashua softball team is now 4-8 overall this season and they will be back in action tonight as they will be in a Top of Iowa Conference game at home against Forest City. The Turkey Valley Trojan softball team was at home last night taking on Decorah in non-conference play. The Trojan offense came out swinging in a big way as they were able to beat the Vikings via the mercy rule 18-7 in six innings. The Turkey Valley softball team is now 6-7 overall this season and they will play again tonight in an Upper Iowa Conference double-header at Kee High. The Sumner-Fredericksburg Cougar softball team was at home last night for their non-conference game against Kee High. The Cougars fell behind 5-0 and then tried to come all the way back, but fell short as they lost the game 5-4. Krayton Allen had a triple and two RBI and Abby Meyer had two hits for the Cougars. Sumner-Fred softball falls to 11-9 overall this season and they will be back in action tomorrow night at home against South Winneshiek. The Sumner-Fredericksburg Cougar baseball team was at home last night for a North Iowa Cedar League match-up with Gladbrook-Reinbeck. The Cougars fell just short as they were on the losing end of a 6-5 score. Sumner-Fred baseball falls to 4-10 overall and 2-9 in the NICL. Their next game will be tomorrow night at Postville.